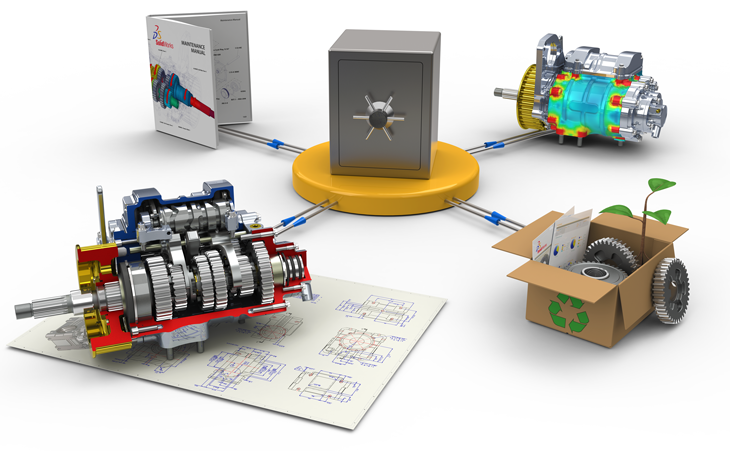 SOLIDWORKS 2016 now has two data management solutions to help manage your critical engineering and CAD data – SOLIDWORKS PDM Standard (included with every license SOLIDWORKS Professional and Premium) and SOLIDWORKS PDM Professional (formerly Enterprise PDM). You can upgrade from SOLIDWORKS PDM Standard to SOLIDWORKS PDM Professional without migrating files or data because SOLIDWORKS PDM Standard is based on the same architecture as SOLIDWORKS PDM Professional. However, you cannot downgrade a SOLIDWORKS PDM Professional vault to a SOLIDWORKS PDM Standard vault. We will be hosting a live webinar demonstration on the features and benefits of SOLIDWORKS PDM Standard vs. SOLIDWORKS PDM Professional on Wednesday, May 18th, 2016 at 11:00am. This webinar will help you decide which system is the right fit for you, and see how data management tools can streamline and revolutionize your engineering workflows. *Workgroup comparison will be included. If you register and cannot attend the live webinar, you will receive a recording of the webinar. This webinar is FREE for all of CAD MicroSolutions subscription customers. If you are not a subscription customer with CAD MicroSolutions, please send me an email after registering and I will review your registration and email you the webinar link. The table below highlights the features included with the Standard and Professional versions of SOLIDWORKS PDM and Workgroup PDM created by Austin Dumas. 5 The Integrated search Tool is pintegrated the PDM Standard/Professional Vault View Interface. The Dedicated Search tool is a separate utility program/window. For more information on SOLIDWORKS PDM or Subscription Services with CAD MicroSolutions, please email me at mkhan@cadmicro.com or give me a call at (416) 775-9715.